Yes, the live-streaming trend was ignited by Meerkat and Periscope, with Facebook being a late comer to the party. But The Social Network, and its massive scale, is rapidly taking over the space. And it's not just through their focus on content - though content is a crucial element in the success of Live, which is why both Twitter and Facebook are working on exclusive live-streaming deals. But Facebook's also winning with their new features and tools for Live, which are helping to lift the option, in collaboration with the promise of much wider reach. Today, Facebook has announced a raft of new additions for Live. And while these new tools are part of Facebook's new journalism project, aimed at helping improve the platform for media outlets, the updates have a range of use cases and will be helpful for many Live users - particularly brands. This one's been in the works for a while, with various users gaining early access, but Facebook has now officially announced that they're rolling out the ability to go live from the web version of the platform - and it looks to be coming for both for Pages and Profiles. "A variety of broadcast types - like daily vlogs - benefit from an easy, stable camera setup, and bringing Live to laptops and desktops will make this style of broadcasting easier." If you have access to the option on your personal profile, you'll see it in your update options, as highlighted in the below screenshots (via Moshe Isaacian). Previously, Pages could access the live-streaming option via 'Publishing tools', which is geared towards professional video equipment. This new option enables users to access Live via their webcam, which will add a whole new set of use cases to the tool. 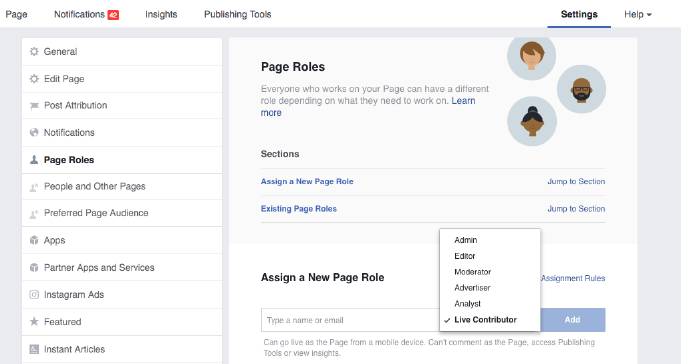 Facebook's also adding a new option which will enable Page managers to assign permission to give multiple contributors the ability to go Live from a Page. Up till now, the option to go Live from a Page has only been available to Page admins. This update, which is aimed mostly at journalists, means Pages can allocate Live capability to as many contributors as they like. The function could be a great tool for influencer collaborations and takeovers, giving them access to your live function without having to make them full Page admins (which can be risky). It'll also be great for event coverage when you want to capture multiple perspectives and showcase them on your Page. The new option is rolling out to all Pages from today. 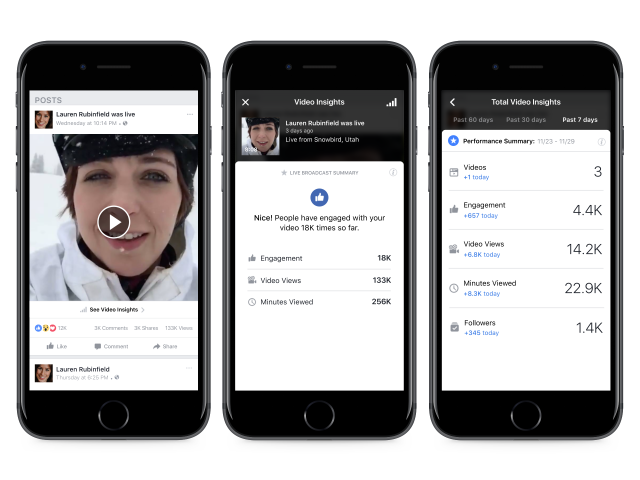 Facebook's also adding new video metrics for videos posted by popular users from their profiles, as opposed to only providing insights via Pages. As you can see in the above image, there'll be a 'See video insights' tab added to the bottom of Live posts. The data will include total minutes viewed, total number of views, and total engagement (reactions, comments and shares). "People will also be able to see aggregated insights for all the videos they post on their profile over 7-, 30-, and 60-day periods, including the total number of video posts, engagement, total views and minutes viewed, and total number of Profile followers." But don't get too excited - the new profile insights will only be available to profiles with 5,000 or more followers. Video insights for highly followed profiles will also be available for both live and regular videos posted publicly. Facebook's also adding the ability for broadcasters to pin comments to the bottom of a live broadcast. 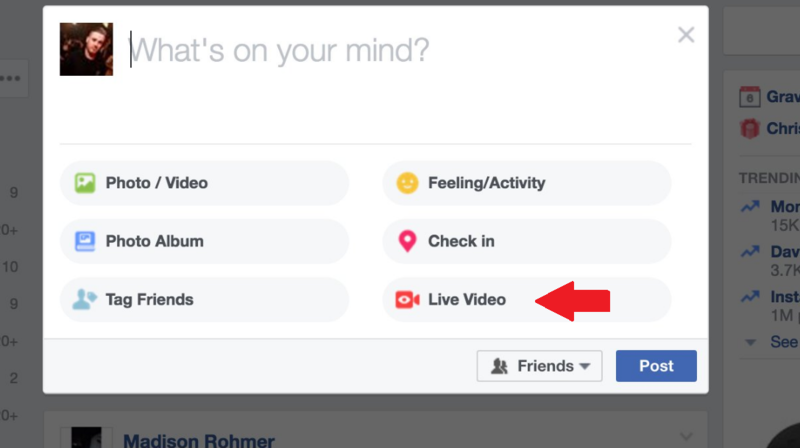 "Live videos often get many comments during the broadcast - in fact, we've seen that people comment more than 10 times more on Facebook Live videos than on regular videos. This update lets publishers to personalize their broadcast and highlight specific comments for their viewers." The option will help broadcasters highlight specific discussions to help guide the conversation - particularly helpful when answering questions or focusing on a certain idea. In order to help publishers drive more traffic to their Live broadcasts as they're in progress, Facebook's also adding a video permalink option which directs people to a Page's video content. Using the URL convention "facebook.com/pagename/videos", when viewers visit the link, they'll be presented with live video if a broadcast is currently underway, as well as a library of the Page's previous live and non-live video content. The function will make a little easier to boost awareness on other channels and connect people directly to your Live content. And the last new addition is a new option to crosspost our Live videos - now, when you finish a live broadcast, you'll be able to post that video to multiple Pages at the same time. This is an extension of the crossposting capability Facebook announced back in September. If you're managing multiple Pages, the tool gives you more ways to maximize the value of your Live content. These new additions come on the back of Facebook's recent announcement of new Live tools for Mentions users, which will no doubt also be expanded to all in time. 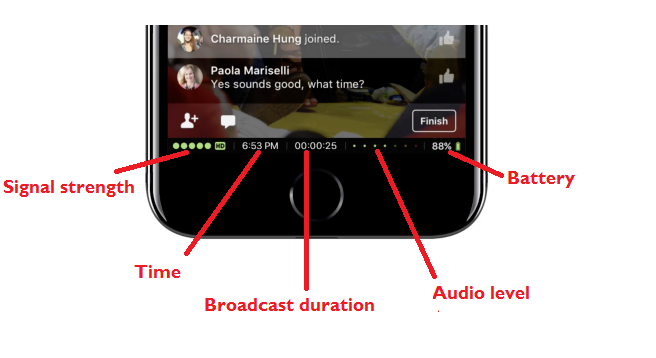 Those features include Live broadcast scheduling, comment moderation and a new in-stream status bar to keep you updated on relevant functions. Those updates are being rolled out to Mentions users at present, with no timetable for a wider release. And, of course, Facebook's also rolling out the ability to stream in 360 degrees and audio-only broadcasts. In summary, Facebook's adding a heap of tools to Live as they look to expand the use of the option and make it a bigger part of the Facebook experience. And if it pays off, Facebook could be onto another massive revenue generation tool - Live has the potential to become a genuine TV rival, which would enable Facebook to tap into those billions of ad dollars still going towards TV campaigns, the last media platform they haven't been able to infiltrate. It has a long way to go, granted, but upgrades like these, along with the first stages of their monetization strategy for video, have Facebook and live-streaming on a path towards building a platform for the next generation of media consumption.